It is very interesting the link that has shared with us our friend David Martin on the Eastern obsession to westernise the body. 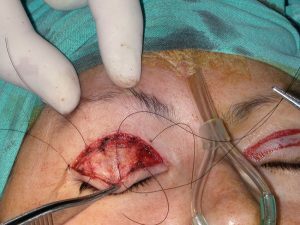 In the section blepharoplasty of our website, I write about the “seikeibijin”, the “surgical beauty”, the retouching of the body, especially of the face to produce that change that brings western physiognomy look. Here are some photos of an oriental patient I operated a few years ago who wanted to correct the asymmetry and have a double groove. Basically this is the technique to strengthen the palpebral groove. 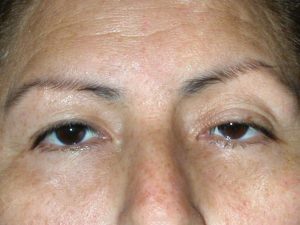 Patient of oriental origin with marked asymmetry of upper eyelids. 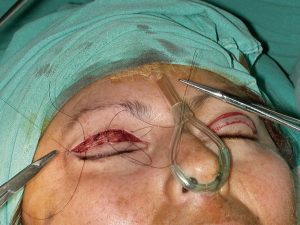 Single groove on right eyelid and double on left.